> Session 1: Are We Electric? An installation comprised of a malfunctioning Machine and a corresponding Operator’s Manual, Of Simple Men is a monument to the rise and decline of rural America, and a physical representation of the complications patterns of cultural forgetfulness have propagated. The Machine, the OSM, plays a printed muslin ream that interacts with a film of an endless rural landscape projected from the floorboards. Straddling the line between automation and semi-automation, the OSM references a particular era of manufacturing technologies credited for shaping our contemporary landscape and a resource-dependent culture. Intentionally engineered to malfunction, it begs for a historic reevaluation of these technologies, their relationship to the land, and our relationship to them and the cultures that subsist on them. The Operator’s Manual, as artist’s book, addresses the origins of these ideas in a complex web of poetics, prose, and theoretical text. 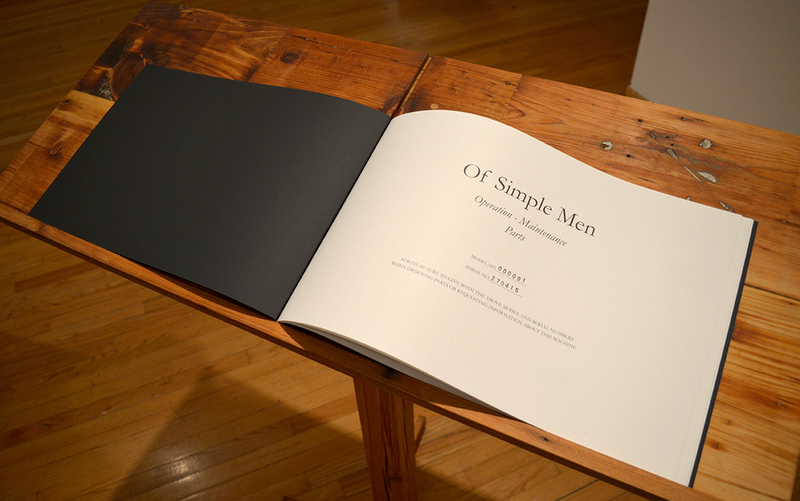 54 pages, 11" x 17"
Of Simple Men: Operation - Maintenance - Parts is the machine manual as artist book, a critical component of the kinetic sculpture and performative installation pieces, Of Simple Men. 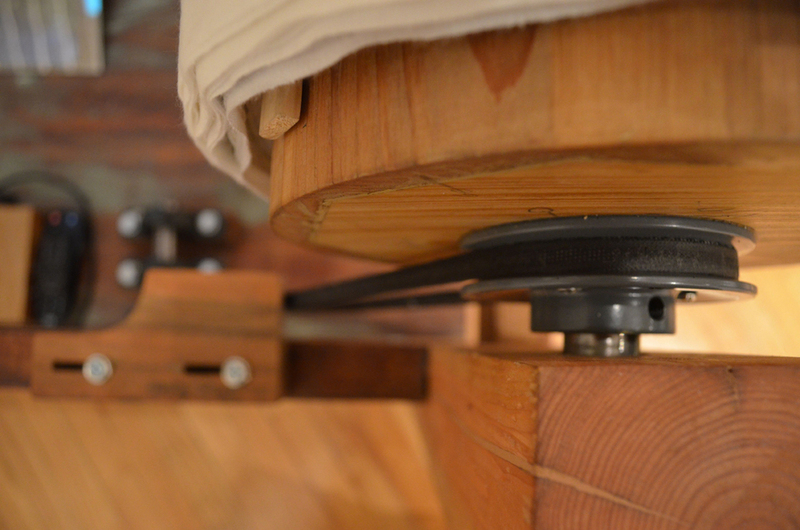 The book addresses a number of themes: the machine as cultural and aesthetic object; the history of technology, processes of production/reproduction and their impact on land and culture; an examination of rural life past, present, and future; the land, the body, and value of labor in everyday life; and how these themes are intrinsically linked to one another. Most importantly, Of Simple Men asserts rural America as the site for these investigations—both maintaining and affirming its place in historic and contemporary cultural discourse. A carefully constructed complex web of poetics, prose, didactic and theoretical text, this operator’s manual addresses the origins of these ideas, and their contemporary ramifications.